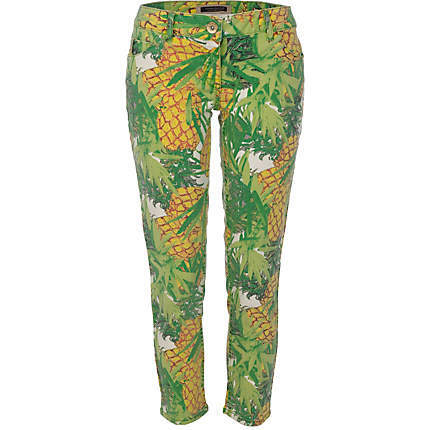 Please welcome the new trend of this spring summer 2013 season – pineapple. Finally the ordinary florals, polka dots and stripes are diluted with a cheerful and vibrant print – pineapples. During this spring summer 2013 this delicious fruit should not only be on your plates, but also on your clothing and accessories. They are popping everywhere starting from the dresses to the earphones. 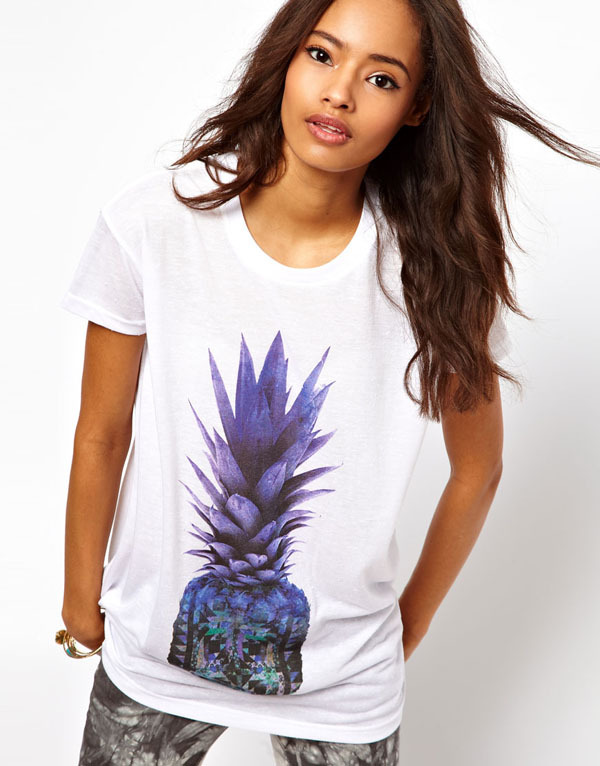 Both high street fashion brands and famous designer brands including Forever 21, H&M, Nasty Gal and Moschino featured the cheerful pineapple trend in their latest collections. Besides, Rihanna was spotted in a pineapple-printed romper while on vacation. Daring enough to wear this cool and a bit funky print this summer? 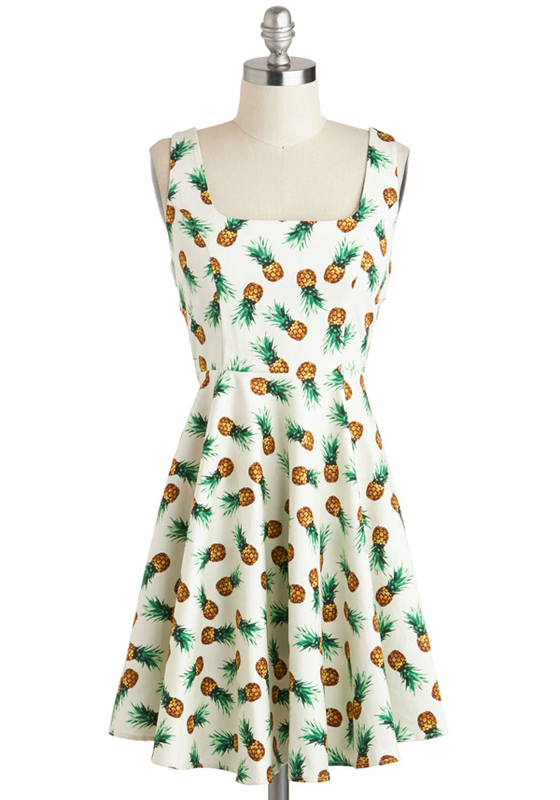 Check out our list of the lovely pineapple-themed garments under $70. Want to become a center of attention at the beach and demonstrate your girly nature? Consider this pineapple-printed swimwear with bandeau top in light pink oozing utterly feminine vibe. 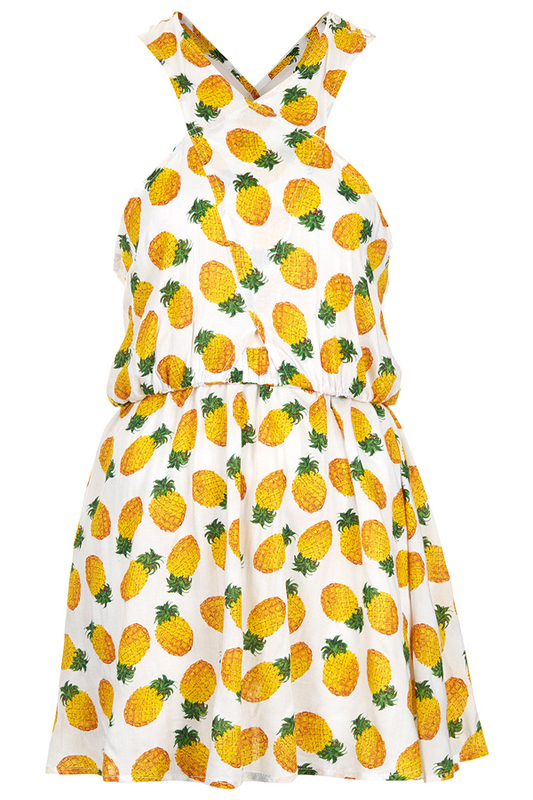 The simplest way to embrace the pineapple trend is to opt for a printed dress with this refreshing fruit. This A-line dress with simple but yet sophisticated design is all you need for a perfect summery outfit. 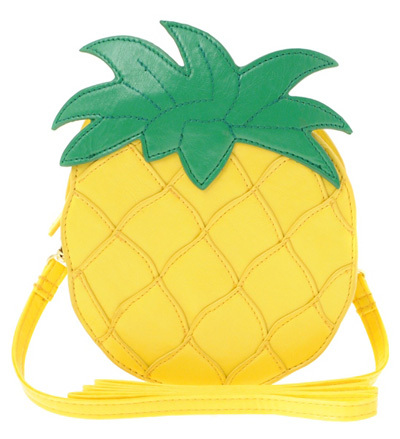 Offered in vibrant summery colors like bright yellow and green, this fun and cheerful pineapple-shaped bag is an ideal accent to your outfit. A-line silhouette along with the pineapple tile print in bold hues of green, wine red and pink allow to keep up to the pineapple trend in a chic and subtle way. 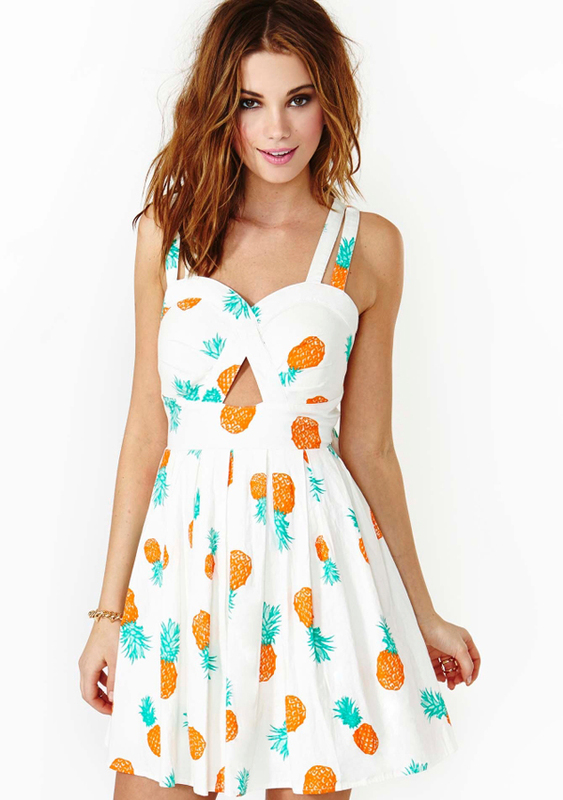 This white dress with bright yellow pineapples all over it and cross over straps can be worn both to the beach and to the outing in town. Nasty Gal demonstrated a sophisticated way of wearing the pineapple print: instead of being a fun garment, this dress looks stylish and chic due to the chest cut out and trendy silhouette. In case you are a lucky owner of the full breast, this bandeau cropped top was made for you. Teamed with a skater skirt, it makes a perfect summer ensemble. 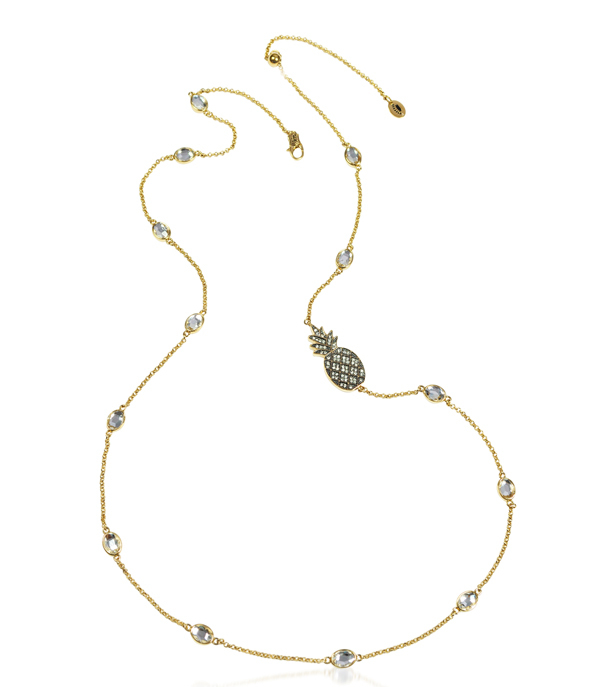 Absolutely feminine and delicate, this necklace with a pineapple charm and shinny crystals will add an elegant and chic touch to your look. In case you prefer to dress casual on a daily basis and don’t like to stand out, this pineapple-printed sweatshirt is for you. Featuring a relaxed fit and subdued tones, it will provide you with a high level of comfort. Espadrilles already became essential footwear for the warmer days. Comfy and lightweight, they are perfect for walking long distances. 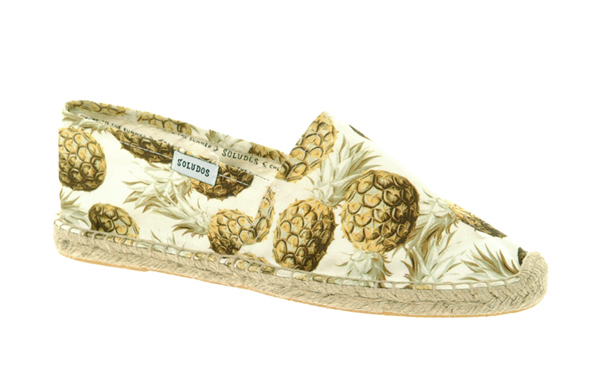 So, these Soludos espadrilles are where the comfort meets pineapple trend. Made from the breathable cotton, this shirt is irriplaceable during the sultry summer days. 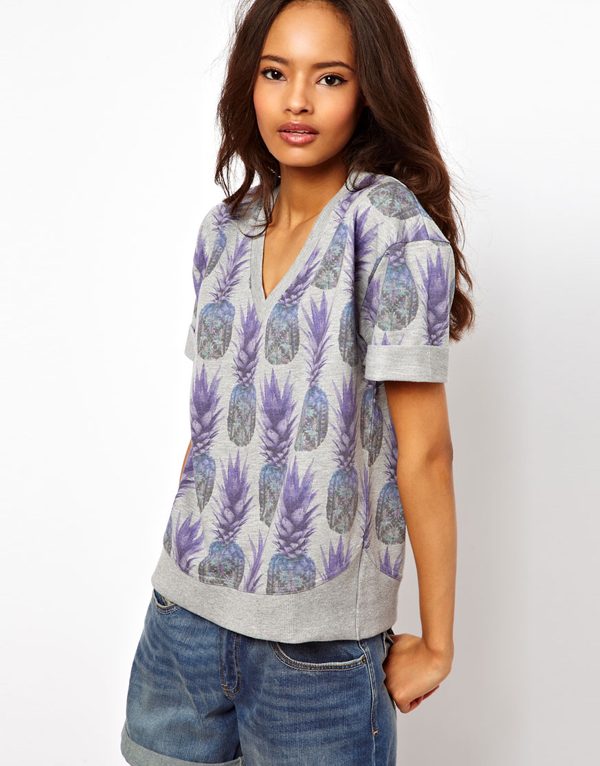 Unlike the rest of the garments, here the pineapple print is largescale and comes in a beautiful violet shade with sheer finish. Wear these pineapple-printed cropped jeans with a simple one-color shirt and modest accessories for the effortless and yet trendy look. These denim shorts with the original silhouette and front slits can be teamed with a simple-cut top for a sophisticated and casual look.